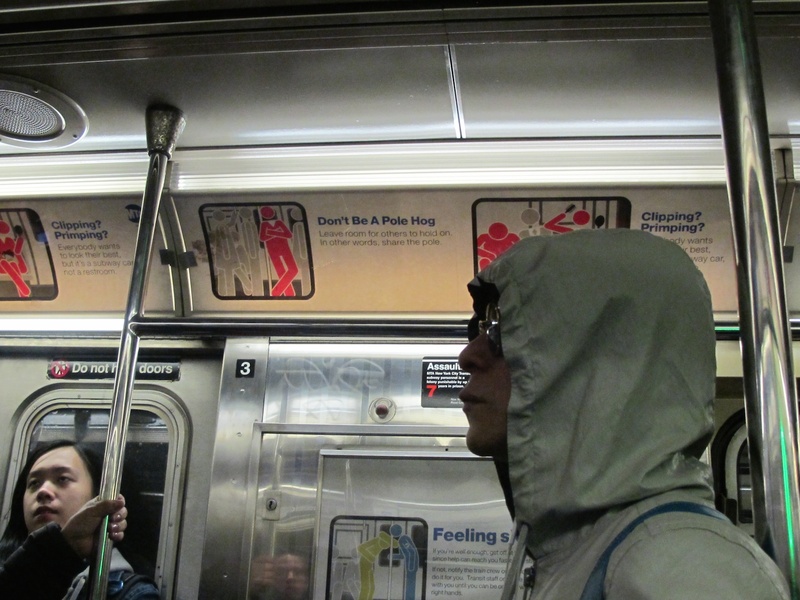 Not being a New Yorker I hadn’t heard the term pole hog. Now that I’ve heard it–and seen it, courtesy of your column photo–I am opposed. Sadly, though, I think you’re right. It won’t be because of tolerance that odious messages get little or no react, it will be our savvy ability to see through the world without actually seeing. Here’s a video sent from upstate showing how they handle things in Japan — Present in the City begins to think they have the right idea. Banzai! Things aren’t quite this bad on the TTC (Toronto Transit Commission), but the crowding is getting quite frightening. I hope we never have political ads of any sort on our subways and buses. I also know that people would probably not pay much attention to ads telling us to be polite. Maybe we already have such ads and I didn’t notice them!!! !